Playing is for the young, and the young at heart. Make time for your whole family to play together with a getaway in Abingdon, Virginia. This three-day itinerary offers activities that are fun for all ages, with a special emphasis on getting off of your electronic devices, and in to the great outdoors. Check in to one of the family-friendly hotels offering free breakfast and a pool, or give your family room to spread out in one of Abingdon’s convenient downtown vacation rentals. Visit our lodging page for plenty of great options. That evening, head to Barter Theatre for a Broadway quality performance from the state theatre of Virginia. 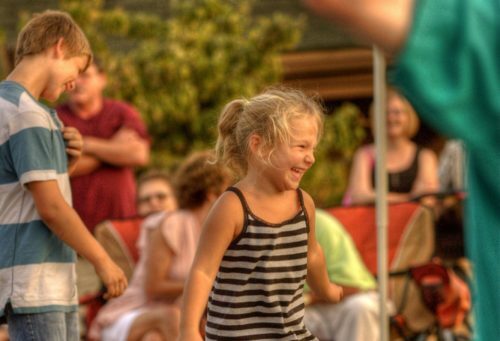 Older children and adults will enjoy the main stage offerings (insider tip: the box office staff keeps detailed information about the age-appropriateness of every play and musical). 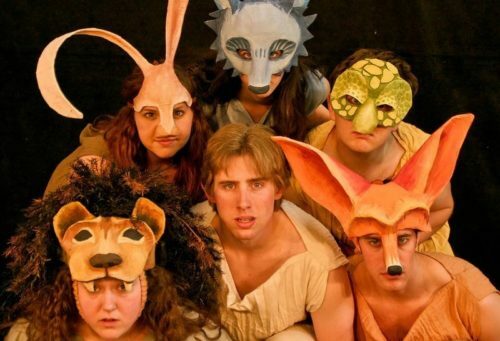 Younger children ages 3 and up will love the world-class children’s theatre of the Barter Players. Not just for kids, these hour-long shows will have you laughing and cheering along to one of your favorite classic children’s stories. Begin your day with a ride on the famous Virginia Creeper Trail. Start at Whitetop Mountain and enjoy a 17-mile downhill stretch through Jefferson National Forest, or start in Abingdon for a ride favored by locals, crossing the beautiful Holston River trestle bridge and others. Either way, the ride is accessible for all ages, with convenient shuttle services to pick you up after your ride. 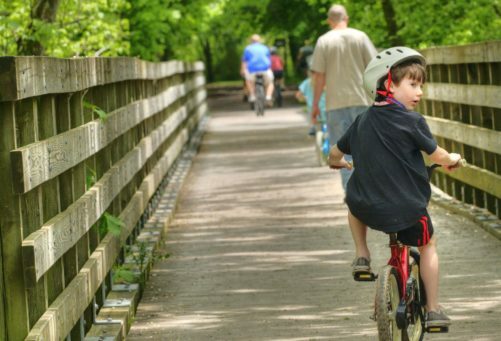 The Virginia Creeper Trail Bike Shop offers an all-inclusive package of a bike, helmet, and shuttle service, starting in Abingdon or Whitetop. The Abingdon section of the trail has one more special attraction: Abingdon Vineyards, just a few yards off the trail near Alvarado Station. Nestled in the trees along the South Holston River, the winery offers a flight of wine tastings for the adults, and a creek for the kids to explore, plus snacks and a chance to pet the resident dogs. After a big day on the trail, refuel with dinner at Bella’s Pizza or Bone Fire Smokehouse, both popular with all ages. Save room for dessert at 149 Sweets, offering homemade desserts from scratch, just like grandmom used to make. Start your day at Zazzy’z Coffee Shop on Main St. With coffee roasted on premises and smoothies for the kids, it’s a casual, affordable breakfast option. Explore Abingdon’s two centuries of history with a kid-friendly trivia game. Traipse Abingdon is a free app that turns a stroll through downtown Abingdon into an interactive scavenger hunt (smartphone required, traipseabingdon.com). See if you can find the site where Daniel Boone was attacked by wolves, and find out why Barter Theatre used to accept vegetables instead of money. 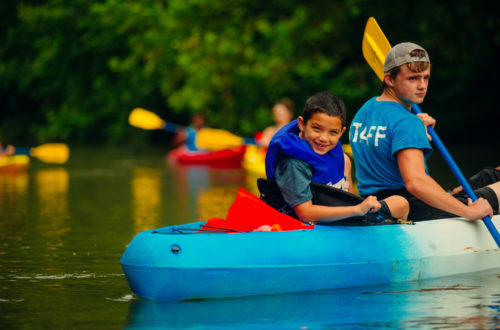 With its mellow, Class I rapids, and sit-on-top kayaks, a float trip with Adventure Mendota is a great activity for "ages 8 to 84." Families consistently rate this adventure one of their favorites in the region. 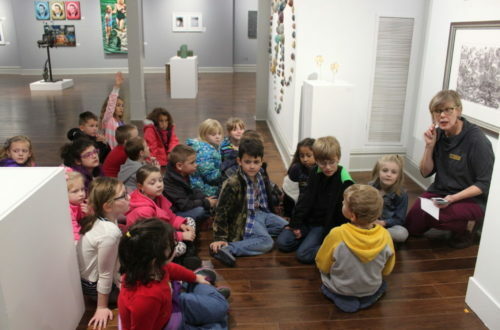 Head to William King Museum of Art to watch artists working in their studios, and view the unparalleled collection of Appalachian art, crafts and furniture.